A monthly mortgage payment includes at least two parts: an amount that goes toward the principal of the loan (the money you’ve borrowed) and a second amount that goes toward interest (the cost of borrowing the money). For most homeowners, however, there is also a third part of the mortgage payment: an amount that is paid into an escrow account that the lender maintains for you to pay for things like homeowners hazard insurance, property taxes, condominium and association fees and mortgage insurance (if applicable). This is the element of the monthly payment that can go up or down even in a fixed-rate mortgage. 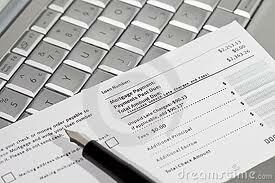 Homeowners must pay property taxes and they must have some type of homeowners insurance. Depending on state laws and other variables, most lenders require homeowners to pay into what is called an “escrow account.” In this account, the lender or mortgage servicer keeps enough money to cover your property taxes and homeowners insurance. You pay into this account each month as part of your mortgage payment. When your taxes are due, the lender/servicer pays them for you. The same is true for your insurance. The lender/servicer sends you a periodic statement showing how much is in this account. You can compare the statement with your property tax bill and your homeowners policy to ensure that the right amount is being held to cover the payments. The Real Estate Settlement Procedures Act (RESPA), which is enforced by the U.S. Department of Housing and Urban Development (HUD), is the major law covering escrow accounts. It is important to maintain the required property insurance on your home. If you don’t, your lender/servicer can buy insurance on your behalf. This type of policy is known as “force placed insurance”; it usually is more expensive than typical insurance, and it provides less coverage. If you’re buying a house, most sellers disclose the amount of the annual property taxes on the house when it is listed for sale. If they don’t, you can easily get this information from your local property tax assessor. A local insurance agent can give you an idea of the annual insurance cost. Divide each of these numbers by 12 and add them to the principal and interest to get the estimated total monthly payment. Will Private Mortgage Insurance (PMI) be required? If a buyer puts down less than 20 percent of the selling price on the mortgage, lenders may require the buyer to buy another type of insurance called private mortgage insurance (PMI). This provides insurance to the lender in case the buyer is not able to repay the loan and the lender is not able to recover costs after foreclosing the loan and selling the property. The annual cost of PMI can vary but usually is between .19 percent and 1 percent of the total loan value, depending on the loan terms and loan type. PMI can be paid up front but most buyers prefer that it be included in their mortgage payment. The cost can vary based on several factors that include: loan amount, loan-to-value ratio, occupancy (primary home, second home, investment property), documentation provided at loan origination, and probably most of all credit score.